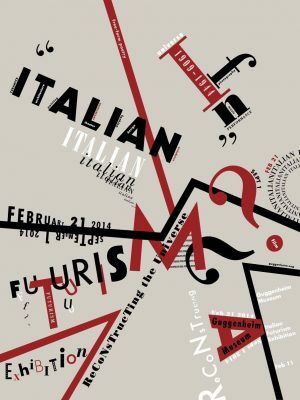 Futurism is an art movement of the early twentieth century in Italy. It brought modernity to the Italian art and it originated by Filippo Marinetti in 1909. For the art piece that I choose as an inspiration uses lines and words to create a structural feeling, also the repetition of letters, the changes in the weight and size of each word. In my design, six words display in different ways, like the circle shape creation, overlapping words, and the direction of the letter. Moreover, the lines used to divide the space for each word. By combining text and lines, it creates a pictorial depiction of movement and speed. “Futurism Movement Overview.” The Art Story. Tate. “Futurism – Art Term.” Tate, Tate. 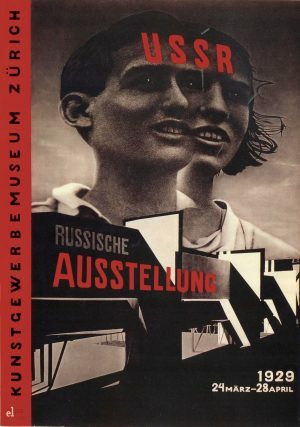 El Lissitzky was a man of many trades some of which were designer, typographer and architect. Along with these many trades he has acquired he has also had strong political belief’s which in combination allowed him to have a dominating influence on the constructivism movement. Constructivism is a movement that embodied art for social change instead of personal liberation, it was considered a philosophy. I chose this poster because it is an accurate portrayal of the meaning of the movement and supports the words I choose to represent the early 20th century art movement. This El Lissitkzy poster made commentary on equal rights the image of the male and female are merged together to share one eye proposing the equality in the two sexes, which in itself is a political belief. The collaged image appears to be simple at first glance, though upon dissection the images meaning was just obscured. The constructivist movement encouraged expressive thought and backing their beliefs, even it was the unpopular opinion, they were fearless of backlash because they believed themselves to be the innovators of new modern day society. This composition also has angles and a geometric feel incorporated, as does most constructivist art. The architecture of the wall is placed on an angle as well as the bold typography of a limited colour palette. Strizver, Irene. 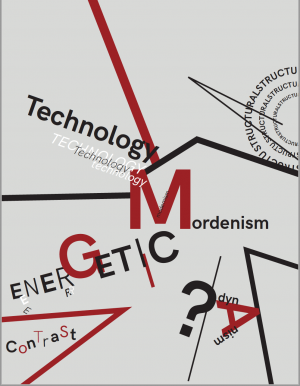 “Russian Constructivism and Graphic Design.” CreativePro.com, 27 Sept. 2017, creativepro.com/russian-constructivism-and-graphic-design/. Accessed 21 February 2019. Berry, Craig. “Constructivist Art & Design An imaginary excursion to Eastern-Europe” Medium.com, 7 Sept. 2017 medium.com/inside-vbat/constructivist-art-design-95ed961a98be. Accessed 21 February 2019. This composition creates an overall feel of the futurism movement inspired mainly by the work of Filippo Marinetti, a pioneer of the movement. The words I chose each individually represent characteristics of this movement. One of the main focuses of the futurist movement is “words in freedom” which is why I chose to include the word “freedom”. 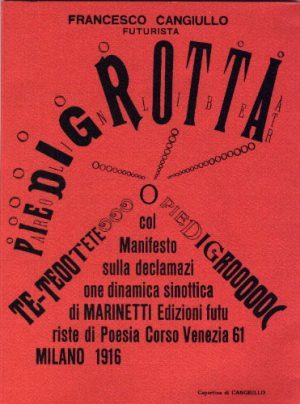 Instead of being an art movement, futurism was more of a call for change in Italian society. The movement meant to free society from it’s past so that it could compete in the modern world with it’s rapidly progressing technology and industries. “Words in freedom” describes the lack of composition and harmony in futurist works and the movements break from the traditional rules of design, punctuation, grammar and syntax. I chose the word “fluctuation” because of the variations in size, orientation and shape created by type as well as the variation in mediums used by futurists that are not only applicable to graphic design, but to poetry, film and much more. 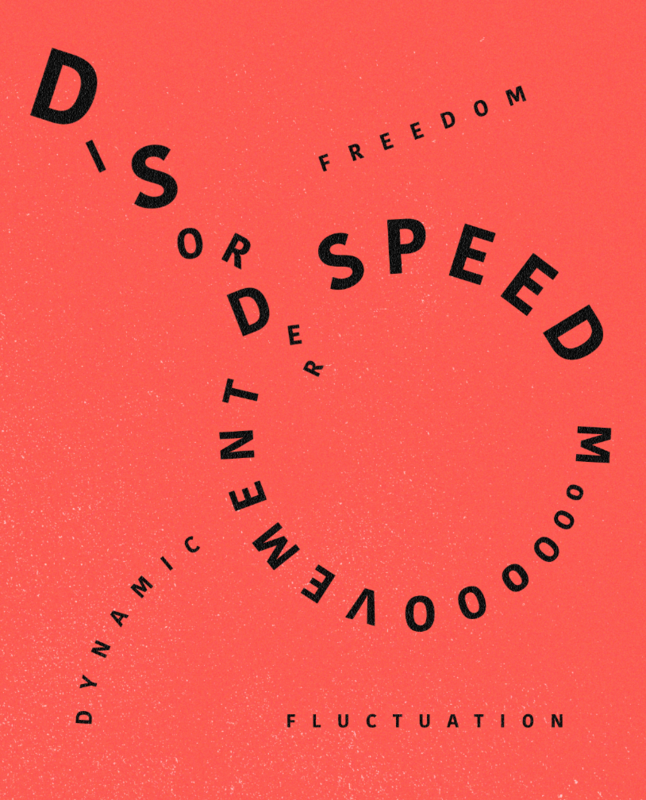 “Disorder” also represents the lack of harmony in futurist design. The words “Speed” and “movement” convey the representation and depiction of modern life and technology in futurist compositions. The word “dynamic” represents the characteristics of change and energy that are present in this movement. The way the type is situated in my poster is also important to conveying futurist design characteristics. The type in futurist design is very representative of movement or feeling a word possesses. For example the word disorder is represented by type that is fluctuating in size and orientation, true to the meaning of the word much like the way the word “Piedigrotta” is shown in Canguillo’s composition below. Scudiero, Maurizio. 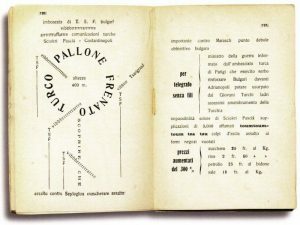 “The Italian Futurist Book.” Colophon.com, colophon.com/gallery/futurism/index.html. De Stijl was an art movement from the Netherlands founded in 1917. The founding group was composed of four artists and architects; Theo van Doesburg, Piet Mondrian, Bart van der Leck, and Gerrit Rietveld. The emotional damage caused by the first world war had inspired the concepts behind De Stijl. The artists’ felt as though the motivation for the war had been a result of conflicting nationalism and individualism of the countries. Therefore the artists wanted to create a new peaceful art movement that was more inclusive and universal, not belonging to any particular country or identity. De Stijl focuses on reductive geometric shapes, and abstraction. This movement generally uses the primary colours, and sans serif font. The first word I used was asymmetry, with this style squares and rectangles are often arranged on the page in an asymmetric fashion, as well as typography. 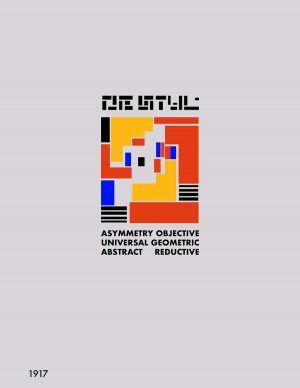 The second word I used was objective, because the founders desire to maintain a universal quality to De Stijl, wanting to keep the subject matter pure and not connected to anything other than De Stijl. 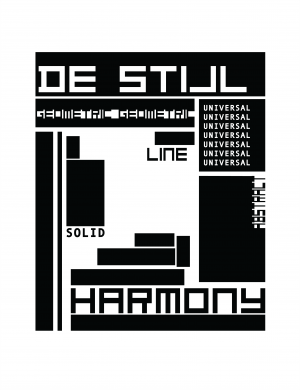 The third word I used was universal, because De Stijl was meant to belong to everyone and no one. The fourth word I used was geometric, because geometric shapes were often used in De Stijl pieces such as rectangles and squares. The fifth word I used was abstract, because the pieces generally were more conceptual. Rather than trying to depict a specific image, the artists tried to demonstrate a concept more universal. The last word I used was reductive, because each De Stijl piece is very minimal in its design. Siebenbrodt, Michael, and Lutz Schöbe. Bauhaus, Parkstone International, 2012. ProQuest Ebook Central, https://ebookcentral.proquest.com/lib/oculocad-ebooks/detail.action?docID=915112. Wolf, Peter J. Graphic Design, Translated : A Visual Directory of Terms for Global Design, Quayside Publishing Group, 2010. ProQuest Ebook Central, https://ebookcentral.proquest.com/lib/oculocad-ebooks/detail.action?docID=3399711. Eskilson, Stephen. Graphic Design: a New History. 2nd ed., Yale University Press, 2012. De Stijl movement was an art Dutch movement that founded between 1917 to 1931. 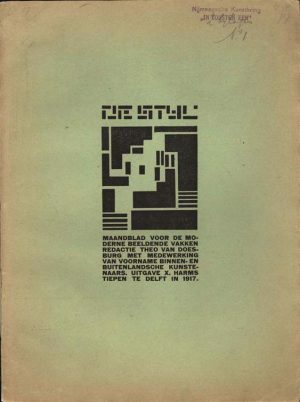 De Stijl was lead by group of Dutch artists, sculptor and architects. 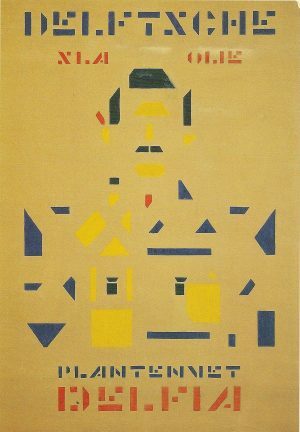 The characteristics of the art movement De Stijl were this movement is basically using primary colors and simple geometric shapes and forms as the basic elements to create to art piece. It is also abstract and asymmetrical as well. Most of the art works used simplify colors and construction through the De Stijl. This movement not only found in the art, but also easily found in the area of architectures and sculptures as well. “CHARACTERISTICS of DE STIJL: Ideas of Spiritual Harmony and Order – Ppt Download.” SlidePlayer, SlidePlayer, slideplayer.com/slide/2222053/. “De Stijl (1917-31) History, Characteristics of Neo-Plasticism, Elementarism.” American Gothic, Grant Wood: Analysis, www.visual-arts-cork.com/history-of-art/de-stijl.htm. The Art Deco movement that hit the world in 1925 was one of the first mass-produced styles that could be applied to almost any theme or subject. It became such widely accepted due to it’s pure style without ideology. The 6 words I’ve chosen to represent this movement are: streamlined, geometric, technical, modern, bold and contrast. Art Deco designs might be simplistic but can always grab people’s attention. In Art Deco graphic design’s, designers tend to use geometric shapes with high-contrast gradient colours and strong lines. The lines are often with zigzags and thick strokes. Therefore the graphics might look flat. But with the use of layering and scaling, perspectives and depths can still be shown in the design. One other really important element that came out with this trend is the Art Deco typography style. These kind of typefaces are just like the design itself, simple but not boring, they are all rather fun indeed. They usually have various strokes weights on a sans serif base. And they are mostly all caps when using. Within this kind of unique typography, it is much easier to identify Art Deco designs. Bayer, P. (n.d.). Art deco architecture. New York: Thames & Hudson, 2012. Hillier, B. (1968). Art Deco of the 20s and 30s. London: Studio Vista. For this blog, I decided to describe the Dada movement through six words: disruptive, anti-war, chaos, unity, randomness, and rejection. These words are how I describe the characteristics of pieces made during the Dada movement as well as what the Dada artists believed in. My inspirations were the Salon Dada, Exposition Internationale, and the Bulletin Dada No. 6 posters by Tristan Tzara. 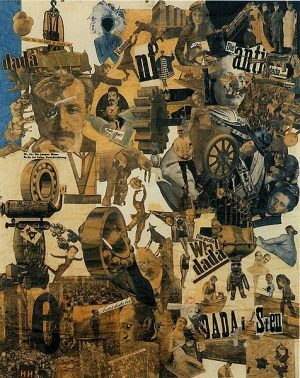 As well as Hannah Hoch’s Cut with the Dada Kitchen Knife through the Last Weimar Beer-Belly Cultural Epoch in Germany collage. These works both expressed the techniques used during this time and the distinguishing characteristics of Dada artists compared to other movements. I combined the words I used with the technique of photomontage, mismatched typefaces, a lack of grid structure, and cut out paper in my work. I tried to use typefaces that were frequently used in that time period, such as, Phosphor, Memphis, Futura, Cooper Black, and Kennerly. However, I was not able to find all the typefaces, so some of them were replaced with similar fonts, such as Phosphate, Courier New, and LTC Kennerly. In addition, since most Dada works have messages relating to political issues and the chaos of war, I decided to cut photos out from the newspapers relating to refugees’ struggles of not being able to find a house after escaping war in their home countries. This creates a message about the consequences of war, as well as the struggle to find a home away from their homeland amongst the seemingly random scattered cut out photos. “Hannah Höch | Cut with the Dada Kitchen Knife through the Last Weimar Beer-Belly Cultural Epoch in Germany (1919) | Artsy.” 11 Artworks, Bio & Shows on Artsy, Artsy, www.artsy.net/artwork/hannah-hoch-cut-with-the-dada-kitchen-knife-through-the-last-weimar-beer-belly-cultural-epoch-in-germany. Meggs, Philip B. Meggs History of Graphic Design. Wiley, 2016. Lilith eZine. “Tristan Tzara .” Prehistoric Art & Ancient Art – The Art History Archive, www.arthistoryarchive.com/arthistory/dada/Tristan-Tzara.html. “Tagged with ‘1920’s. '” Fonts in Use, fontsinuse.com/tags/1053/1920s. “Tristan Tzara .” Claudio Bravo Biography – Claudio Bravo on Artnet, Pace Gallery, www.artnet.com/magazineus/features/kuspit/conrad-marca-relli9-30-09_detail.asp?picnum=5. I chose to create my six-word summary design as a reflection of Dadaism. Dada began in the 20th century as a reaction to WWI in Europe, and was intended to challenge the role of art in society. 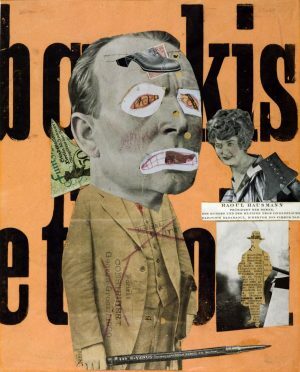 The Dadaists also sought absolute freedom from order, thus their works were satirical and nonsensical in nature, destroying traditional methods of art to create unique, new forms that they called ‘anti-art’. The movement varied in medium and form: from poetry, collage, paintings, live performances, sculpture, and more. The works of Dadaists were characteristic of the idea of chance, chaos, destruction, randomness, and the absence of artistic skill, none of which defined a particular artistic style. 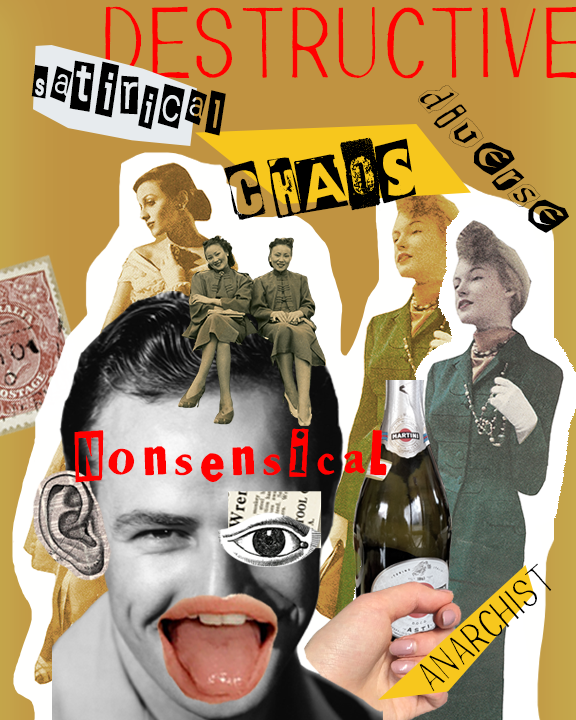 My six-word summary design encapsulates the idea of un-skilled chaos by using a photo-collage, which I created in an absurd style that required no thought, and only the clipping of various photos I found on the Internet. In no particular order, I pasted each visual element on the page at random to create the bizarre design. I did not consider proper hierarchy of information, or any elements of ‘good design’ such as contrast, texture, and negative space. Instead, I tried to make the design as un-beautiful as possible, ignoring all order, technical planning or design thinking. It was intended to represent nothing, to provoke the unconscious, and make the viewer feel the unease, confusion, and chaos characteristic of the Dada movement. Therefore, the words that I chose to describe this movement were: Anarchist, Nonsensical, Chaos, Diverse, Satirical, and Destructive. This poster was inspired by Raoul Hausmann, The Art Critic (1919–20), and Hannah Hoch, Cut With the Kitchen Knife Through the Last Weimar Beer-Belly Cultural Epoch in Germany (1919-20). Britannica, The Editors of Encyclopaedia. “Dada.” Encyclopædia Britannica, Encyclopædia Britannica, Inc., 15 Oct. 2018, www.britannica.com/art/Dada. Accessed 13 February 2019. “Dada Movement Overview and Key Ideas.” The Art Story, www.theartstory.org/movement-dada.htm. Accessed 13 February 2019. Meggs, Philip B., and Alston W. Purvis. Meggs History of Graphic Design. Wiley, 2016, pp. 265-270. Art Nouveau was an arts movement that started around 1890 and ended around 1910, although the impact of Art Nouveau has continued today. Art Nouveau was a response to rigid structures of architecture and visual arts, mostly in illustrations and posters. Art Nouveau created a relationship of decorative and structural forms in art. In illustrative art, the organic lines and forms usually acted as decoration, in architecture and other 3D arts, the organic shapes became part of the whole structure, creating a fusion between the two. (Britannica) The movement sought to create a new style that was more expressive and free flowing. Due to the intentional use of free flowing lines and organic shapes, a lot of Art Nouveau art that was created had a lot of floral, insect, and flowing clothing imagery. The words that I’ve chosen to represent Art Nouveau are Free, Decorative, Structure, Organic, Powerful, and Expressive. 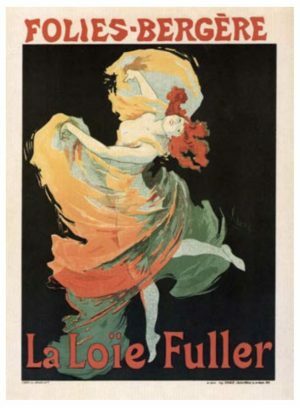 I was inspired by the Le Loie Fuller poster by Jules Chéret, and the insect imagery seen throughout various jewelry and illustrations in the movement. Britannica, The Editors of Encyclopaedia. “Art Nouveau.” Encyclopædia Britannica, Encyclopædia Britannica, Inc., 21 Sept. 2018, www.britannica.com/art/Art-Nouveau. Chéret, Jules. “Jules Chéret. Folies-Bergère, La Loïe Fuller (Loïe Fuller at the Folies-Bergère). 1893 | MoMA.” Lee Bontecou. Untitled. 1959 | MoMA, www.moma.org/collection/works/5615. For my six word summary I chose to work with the De Stijl movement. 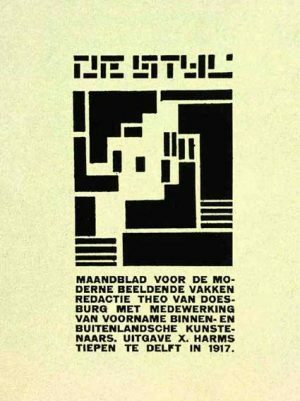 The name De Stijl itself means “the style” and was a response to fix society after WW1. De Stijl artist embraced a utopian vision. 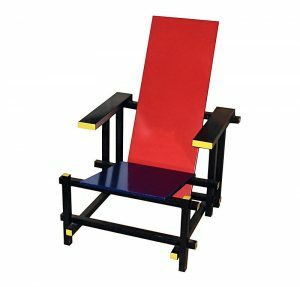 De Stijl art was universally applied to not only art and sculpture but also to graphic design, architecture and so on. De Stijl features basic visual elements: horizontal and vertical lines, primary colours, and geometric forms. The movement also puts a strong focus on the use of negative and positive space on a page, often using lots of negative space – especially in the middle. The design I made above embodies these principles and takes inspiration from Vilmos Huszar’s cover for the De Stijl magazine in 1917. The design uses only horizontal and vertical rectangles as well as a De Stijl Typeface. The typeface I used in my design is a recreation of the typeface created by Theo Van Doesburg (with a few minor changes by the type designer – Gonza Ramone). The typeface was “based on a square divided into 25 smaller pieces” and uses only vertical and horizontal rectangles. Following the De Stijl principle of negative and positive space, my design features many areas with negative space, most importantly the centre (similarly to Huszar’s cover).